← New SLCC Website and Address! 3/27/08 – Thursday Night Party at Virtual CSI:NY: CSI:NY is a week from returning to the air with a brand new episode. To prepare for the new season, episode number 405 was re-aired, and on April 2nd, we will all find out what happens to Venus. Virtual CSI:NY is always buzzing with activities, mysteries and crimes, but every Thursday night is buzzes with one of the best parties in all of Second Life. With Venus still on the loose anything can happen (lets hope that it doesn’t involve a new murder mystery!) The party will be at Club Random at 7pm PST. 3/28/08 – Friday Night Party at The L Word in Second Life: The season has ended in high drama, as usual and there’s plenty to talk about! Catch up with what happened in Season 5 on Friday at the The L Word in Second Life, while we reflect on our favorite ladies and discuss what may be in the upcoming season. Plenty of to catch up with and the festivities begin at 5pm PST on the L Word Sim in Second Life. 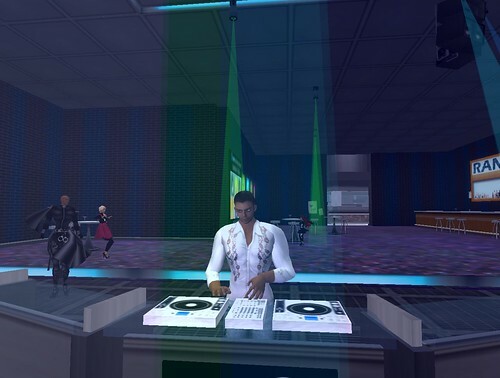 This entry was posted in Events and tagged Second Life, The L Word, Virtual CSI:NY. Bookmark the permalink. There are a lot of events are being arrange in our country which is the reason the happiness of every person. The people go to these functions in which they get the chance of an entertainment fun. From this they enjoyed their lives in a perfect way.